• "Gleeman and The Geek" will be live on KFAN this Sunday (and almost every Sunday) at 4:00 p.m. You can tune into 100.3 FM, stream the show online at KFAN.com, or just continue listening to the show not live as a podcast. • An online dating website exclusively for Green Bay Packers fans sounds like an excellent idea and certainly isn't something to be made fun of. • Sure, this looks crazy and all, but let's see him do it in a Honda Fit. • I was a guest on "Fan Graphs Audio" with one of my favorite people, Carson Cistulli, for a show that completely avoided baseball and ended when his wife finished cooking him dinner in France. • Phil Ivey might be the best poker player of all time and he's a bad motherf-er, so hopefully a casino doesn't have him killed. • According to a recent study people who take daytime naps are much more likely to die before age 65, which is so depressing that it makes me want to take a nap. • I seriously think this is the best looking a human being has ever been. • As part of their annual "Best Of" issue City Pages named "Gleeman and The Geek" as the "Best Sports Podcast" in Minnesota. Apparently there isn't even a trophy, but it's still good for my ego. 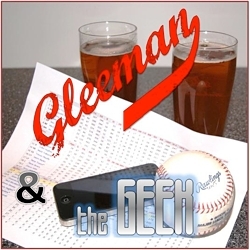 • This week's "Gleeman and The Geek" episode is what happens when we get kicked off the radio and includes the story of my torn ACL, plus some very memorable waitress interactions. I'm not even really a prank fan, but that's pretty good. • Accurate stuff from The Onion: "Determined Restaurant Patrons Tough It Out On Chilly Patio." • It's possible that we, as a society, have reached peak beard, but I'm not done being lazy about shaving or hiding most of my face yet. Not even close. • I have some ideas for the Brooklyn Cyclones' upcoming "Seinfeld Night." • It sounds like I've really got to find a kickball league to join. • Of course some guy figured out a way to cheat the system on Tinder. • Andrei Kirilenko is a hero to the Russian people. • I really enjoyed Joy Summers' series for City Pages ranking the top 100 meals in Minnesota. • Rye Deli owner and former "Gleeman and The Geek" guest David Weinstein explained to Rick Nelson of the Minneapolis Star Tribune why he had to suddenly close up shop last month. • Randball's Stu is so desperate for work that he was willing to talk to Maggie LaMaack. Also: Someone should hire Randball's Stu because he's great and I want to read more of his writing. • Something tells me there's probably a really sad story behind this. • I've been using Uber a lot and it's very easy/pleasant compared to cabs. If you use my promo code you get $20 off a ride and I get $20 too. If you've been thinking of trying it anyway, do it. 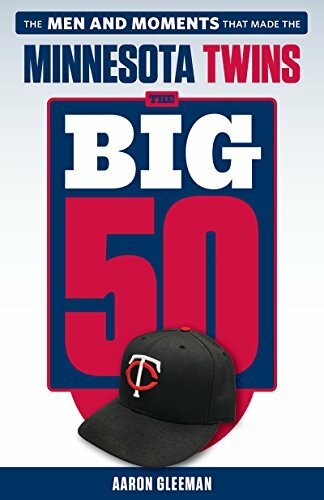 • Parker Hageman of Twins Daily has started his own podcast with his buddy Dan Anderson and, as much as it pains me to say, it's not terrible. • Friend of AG.com Jack Moore is part of a new sports writing project that needs funding help to survive, so give it a look. • I started watching "Orphan Black" because I noticed that it's on Amazon Prime and now I want to know why Tatiana Maslany isn't super famous already. - "Minneapolis pub crawls for charity"
- "Ron Coomer sounds like some actor"
- "Is Ron Coomer married"
- "Twins baseball meet and greet"
- "Jenna Fischer and friends"
- "Former Twins pitcher Capps"
This week's blog content is sponsored by Fan HQ at Ridgedale Mall, which will be hosting an autograph and meet-and-greet session with former Twins closer Joe Nathan on April 26. Please support them for supporting AG.com.